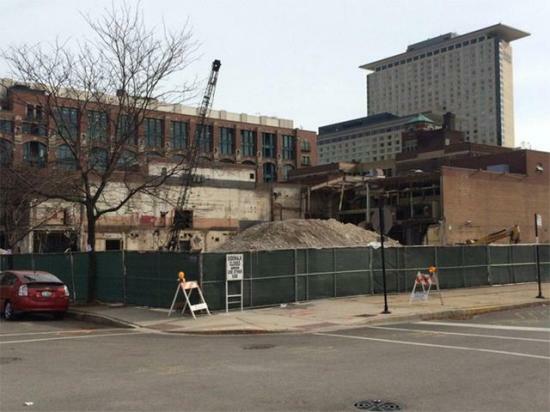 Preservation and new development are often at odds, but sometimes Chicago has its cake and eats it, too. Case-in-point: the Harriet F. Rees House, a landmark on both local and national lists that happens to share an address with an arena and hotel complex planned for the South Loop. 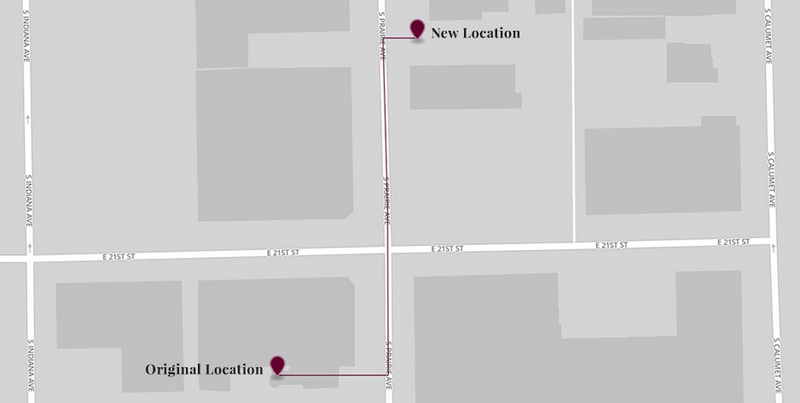 The Rees House is currently the only building on the 2100 block of S. Prairie Ave., but on Tuesday it begins its two day journey 600 feet north to 2017 S. Prairie Ave. The Metropolitan Pier and Exposition Authority (McPier), a semi-public entity that oversees Navy Pier and the McCormick Place Convention Center, sued to gain control of the property earlier this year. 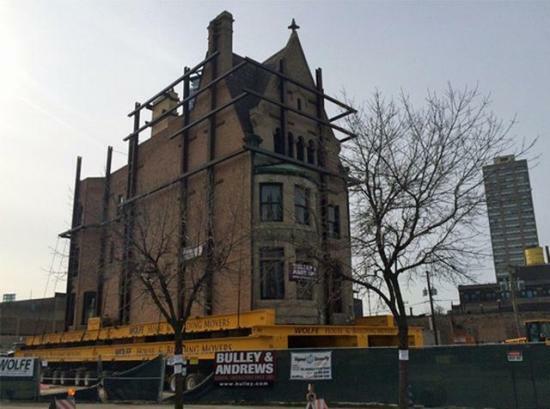 Now McPier is paying $6 million to move the remarkably well-preserved 19th century townhouse to make room for a Pelli Clarke Pelli–designed arena for DePaul University that is expected by the end of 2016. They will also pay $1.9 million to acquire the land and $450,000 to compensate Rees house owner Sam Martorina for loss of use of the property during the moving process this summer, reported Crain’s Chicago Business. This feat of engineering will clear land in the South Loop for a series of developments including a hotel, office space and an arena that the city has agreed to help finance with public tax benefits—not without controversy—because it is intended to boost economic activity associated with the massive convention center. 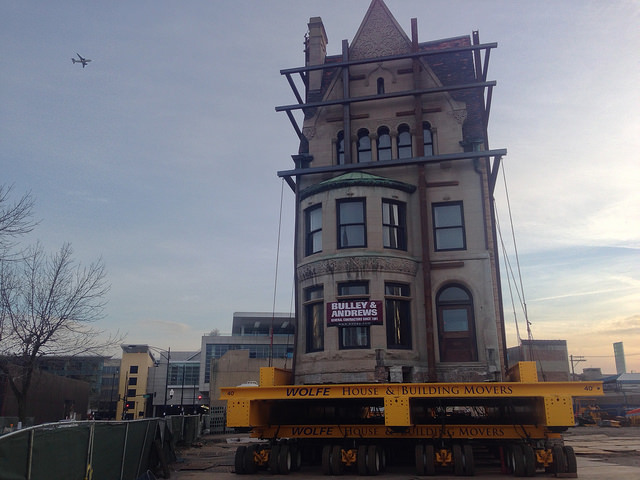 Construction firm Bulley & Andrews is working with Wolfe House Building & Movers to roll the 762-ton house up the street, employing massive dollies and a steel exoskeleton to stabilize the historic structure during its journey. The wheeled dollies are semi-automated and will begin the move Tuesday morning. 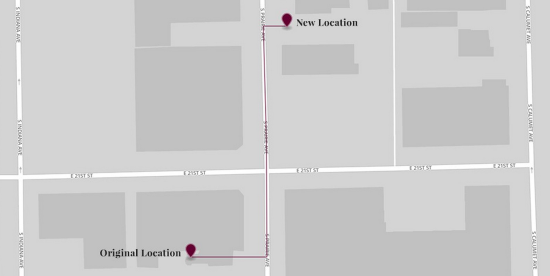 The Rees House is expected to arrive in its new location by Wednesday afternoon. A webcam will monitor the move here. Built in 1888, the three-story brick and limestone mansion won recognition from the national register of historic places in 2012. It was built for the widow of real estate pioneer and land surveyor James H. Rees, and remains a well-maintained example of Romanesque Revival architecture. Impressive though the move is, it’s not the only time Chicago has heaved hefty buildings instead of opting for demolition. As Josh Mogerman wrote for Chicagoist earlier this year, Chicago’s oldest house—the nearby Henry Clarke Mansion—was lifted and relocated twice. Much of Chicago itself was hoisted hydraulically as the booming city overwhelmed its swampy foundations. The Rees House will be registered once again as a national landmark at its new address—assuming it gets there in one piece.